TRANSWATER organized the Consultant Engagement Session at MMC Oil & Gas Engineering, Menara Tokio Marine, Kuala Lumpur on 8 August 2018. The event was participated by the consultants from different background comprising of Instrument Engineering,Process Engineering, QHSE, and Mechanical…. 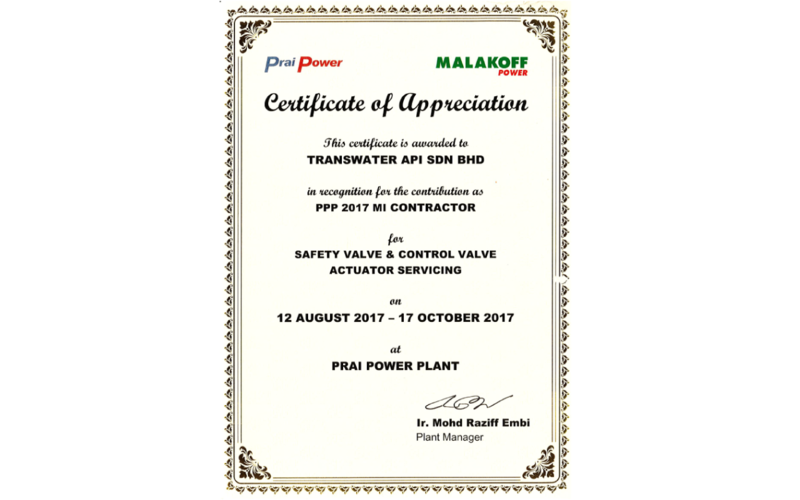 TRANSWATER has attained a top spot for the Contract Perfomance Evaluation from PETRONAS for their Umbrella Contract: Supply and Delivery of PETRONAS Custody Transfer Metering System (CTMS) Package for PETRONAS Chemical MTBE or better known as Limau Purut Project….